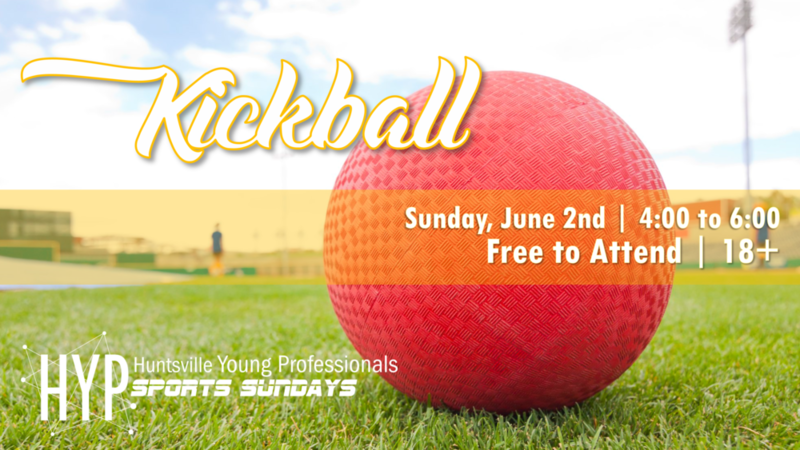 Kick start your Sunday by joining Huntsville Young Professionals on Sunday, June 2nd from 4 to 6 pm for some friendly kickball competition. Be sure to bring plenty of water and sunscreen. It is suggested to wear cleats (no metal points). All participants must be 18 or older and sign a waiver.